St Michael's Rooms, Church Street, Framlingham. Framlingham Residents' Association still have a small amount (just under £1,000) to settle the final bill for the lawyers. It has been a long haul and you have all been so wonderfully generous. 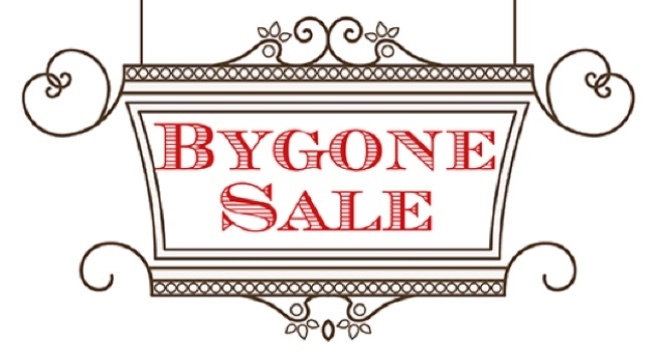 So, for this final push, please come along on the day and buy a bygone. Or just pop in for a cup of tea and a piece of homemade cake, it would be great to see you there! We would also be delighted to accept monetary donations, large or small! 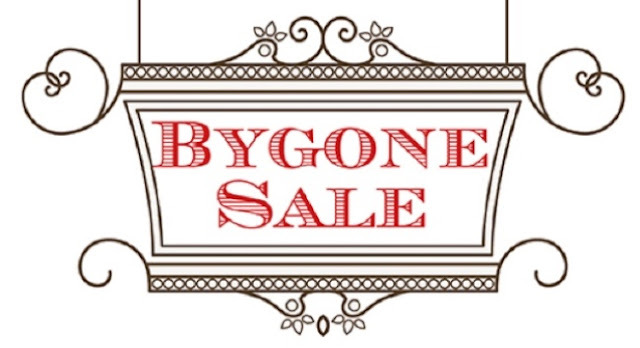 (please mark the envelope 'Bygone Donation'). Copyright © 2016 Framlingham Residents Association, All rights reserved. If you live in the Framlingham Parish you will have recently received a polling card to vote in the Framlingham Neighbourhood Plan Referendum. The referendum takes place on 9th February 2017 and for the plan to be adopted 51% of the people who turn up and vote on the day must support the plan. We urge you to take part in the Referendum and support the Neighbourhood Plan because it is the only statutory instrument the town has to control development in and around the town. Without a Neighbourhood Plan the town will continue to be an easy target for additional development. This is the final stage in the process of the town adopting a Neighbourhood Plan. The plan itself is largely unchanged from the draft distributed to all homes in the Summer 2016. The biggest change is that the Planning Inspectorate required the Physical Limits Boundary (this defines the area within which development will be permitted) to be re-drawn to include the Mount Pleasant and Fairfield Road sites. This brings the plan into line with Government and District policies. Other changes are mainly layout and grammar and are designed to make it easier to read. Suffolk Coastal District Council has been told that it must review its new homes plan for the period up to 2027 and the total number of new dwellings required at a district level is expected to go up significantly. The Framlingham Neighbourhood Plan sets out Policies for the scale and location of new development in the town so we won’t get any more massive green field developments like Fairfield Road. A Neighbourhood Plan gives communities real power in deciding how development in their town or village should be managed. Importantly this was confirmed in a recent High Court ruling in favour of the policies of the East Bergholt Parish Council Neighbourhood Plan. In short the case centred on a decision by Babergh District Council to allow new homes to be built in a way that was contrary to Parish Council’s Neighbourhood Plan. The High Court ruled that the requirements of the District as a whole did not overrule the needs of the village as defined in their Neighbourhood Plan and the development application was quashed. Copies of the Neighbourhood Plan are available in the Library and the Town Council has copies available for you to take home and read. Alternatively you can download it from the Framlingham.com website. So on 9th February please cast your vote in favour of the Neighbourhood Plan. This is an important decision and your town needs you. Here's something to look forward to where we do all the work, all you have to do is turn up. The ticket price includes welcome drink, a special two course Seasonal Menu (with vegetarian option), created by our wonderful cook Susie, live entertainment featuring Intermezzo, Damselflies and James Hutchinson's Jazz Band, plus free entry into our Grand Prize Draw. There is also a Christmas Raffle and a Pay Bar to make the evening go with a swing! 100 MILES IN 9 HOURS AND IN 31C! Clockwise: Vic and Mary set off at 7am from Market Hill. Reaching Framingham Pigot at 12.05. Back home at 18.40. The 9 hours excludes water stops, comfort breaks and the picnic lunch supplied by the support crew of Chris and Susie. 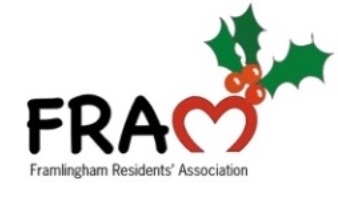 cheques made payable to Framlingham Residents' Association. Please could you mark the envelope 'Sponsorship'. If you didn't get around to sponsoring Vic and Mary....don't worry we will happily accept any donation you wish to make. 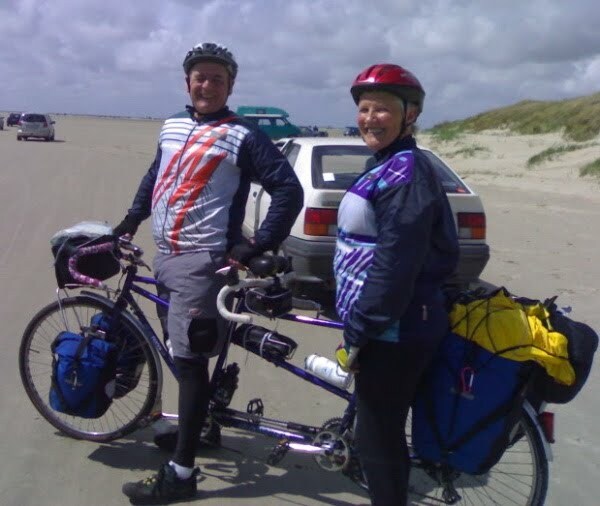 If you haven't already, please sponsor Vic and Mary Stanbrook as they cycle (on a tandem) a total of 100 miles in a day from Fram (Suffolk) to Fram (Norfolk) and back again on Wednesday 14 September 2016. Come and cheer them on at 7am as they start their journey from the town sign on Market Hill. 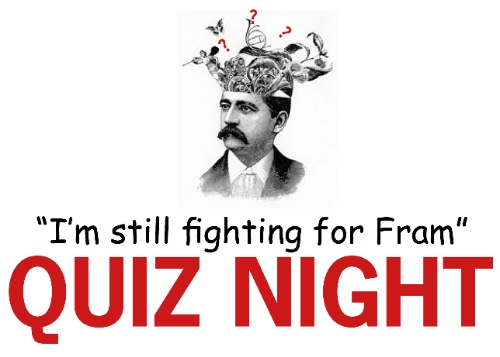 This tenacious duo are undertaking this tough trial in order to help Framlingham Residents’ Association reach their Appeals’ fundraising target of £4,200. 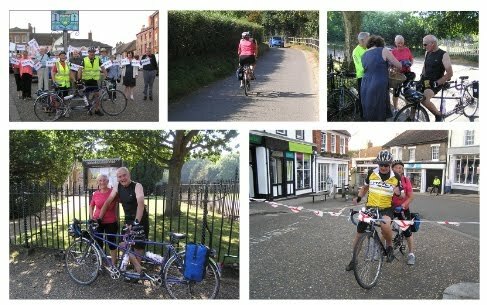 So please download the sponsorship form from this link https://gallery.mailchimp.com/4b7e58442edd492d51c478ba8/files/Tenacious_Tandem_Team_Trial_Sponsorship_Form.pdf and encourage all your family and friends to sponsor Vic and Mary. 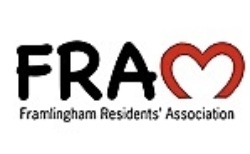 Alternatively, you can email your pledge to info@framresidents.com with your contact details and the amount you wish to sponsor. Why not bring your friends and make up a table of 6-10 people or we can make a table up for you. or by bank transfer to the Co-operative Bank: Framlingham Residents’ Association, a/c 65763735 sort code 08-92-99 (with your name and the word Quiz as a reference). a total of 100 miles in a day from Fram (Suffolk) to Fram (Norfolk) and back to Fram (Suffolk) on Wednesday 14 September 2016.